We started by poring over every detail of 189 Canadian credit cards, tracking and comparing over 50 different features for each one. We then enter those details into our math-based comparison engine, which gives each card a rating out of 5 – our Genius Rating. Using this rating as our guide, we determine the winning credit cards across 24 different categories. There’s a best credit card category for you. Related: Which Canadian Rewards Program Is Worth The Most? Ranging from 0% interest, to 2% cash back, all the way to 3.76% average rewards return on spending, here’s an overview of the well-deserved winners. Please note the average earn rate is based on reasonably optimized spending and reward redemptions – we assume you won’t choose the toaster when flights are worth 4x as much! We also use a default of $2,000 per month in spending split sensibly across spending categories, like gas and groceries. For more personalized results, enter your own spending habits into our compare credit cards spending calculator in the sidebar. Curious what the best credit card in Canada is? We were too, so we took every aspect into consideration – all 50+ features, all 184 cards. And for the second year in a row, American Express Cobalt™ comes out on top. Considering this card is the #1 card in 5 other categories, this award is just the cherry on top. The Cobalt card has no minimum income requirement, an impressive welcome bonus, some of the highest earn rates in Canada (5x on food at grocery stores and restaurants), plus exclusive Cobalt Perks and all the other perks that come along with being an American Express cardholder. Looking for the absolute best Mastercard on the market right now? The BMO AIR MILES World Elite Mastercard offers great rewards, perks and insurance. Earn 1 AIR MILE for every $10 you spend and get a sign-up bonus of up to 3,000 miles. Then, anytime you redeem your miles for flights within North America, get a 15% reduction in the number of miles required to book your flight. Plus, with 14 types of insurance coverages, this card offers a lot for your travels. Prefer having a Visa in your wallet? The Scotiabank GM Visa Infinite will offer you the most rewards for your purchases. Get 5% in GM dollars on the first $10,000 you make in purchases each year, and then earn 2% after that. And while your points can only be used to purchase a new GM vehicle, taking a bite out of the cost of purchasing a new vehicle goes a long way. And, you earn all these rewards for a low annual fee of $79. American Express cards tend to offer the highest rewards and the best perks. Not to mention that all of their cards have no minimum income requirements. Our top pick goes to the American Express Cobalt™. Why? Earn the most rewards – up to 5 points per $1 spent, and get a great welcome bonus worth up to 30,000 points. The best part about getting all these points is you can use them in a variety of ways – the Fixed Points Travel Program, redeem for any travel, get cash statements, or transfer your points to Marriott Bonvoy. Plus, with 9 types of insurance coverage to protect you while travelling. The Scotiabank Momentum Visa Infinite gives you 4% back on gas and grocery purchases, 2% back on drugstore purchases and recurring bills, plus 1% cash back on all other purchases – for a $99 annual fee. On top of that, this Visa Infinite card will give you concierge service, secondary cards for only $30, Visa Infinite perks, plus 9 different types of insurance included at no extra cost. And as an added bonus, the first year is free, and you’ll have the ability to earn 10% cash back in the first 3 months of account opening (up to $2,000 spent). If you want rewards with no fees, and happen to meet its $80K income requirement, then the Rogers World Elite not only has no annual fee, but offers a high earn rate for your spending as well. Earn 1.75% cash back on all of your purchases. Have any Rogers services? Charge those to your card and earn 2% cash back on those payments. Finally, any time you make a purchase in a foreign currency, get 4% cash back, which helps offset the 2.5% foreign exchange fees. Travel credit cards are some of the best credit cards you can get. The best of the best will offer its cardholders lucrative rewards, big sign-up bonuses, and rewards that’ll often get you the biggest bang for your buck. This number one travel credit card is no exception. The American Express Cobalt™ gives cardholders a solid mix of flexible rewards, a generous welcome bonus, good insurance, and some pretty fun perks that all point to this card as the best travel credit card in Canada. Plus, if you use your points with the Amex Fixed Points Travel Program, you’ll get a solid 3.76% return on your spending on North American flights, making this card perfect for travel lovers. In Canada, no fee travel credit cards are pretty rare. Why? Because the best travel cards come with premium benefits and steep price tags to match. However, that doesn’t mean a no fee travel card is impossible to find. And, we consider cash back cards as well, because getting cash you can use for anything (including travel) shouldn’t be excluded. With that said, the Rogers World Elite Mastercard gives solid rewards for no annual fee, if you meet their $80K annual income. You also get basic travel insurance package as well, making it a solid no fee choice. No one wants to pay fees when they don’t need to, so credit cards with no foreign transaction fees are highly sought after. The bad news? These cards are few and far between. Our number 1 no foreign exchange fee travel card is the Scotiabank Passport Visa Infinite. With this card in your wallet, you’ll skip that dreaded 2.5% and get an average of 1.3% return on spending, a priority pass membership, a free supplementary card, 6 free lounge visits per year, and 13 types of insurance coverage. The BMO AIR MILES World Elite Mastercard is far and away the best AIR MILES credit card on the Canadian market right now – and for good reason. For starters, you get a sign up bonus that is enough for 2 short-haul flights. Then, for every purchase made, you get 1 mile for every $10 spent. And if that wasn’t enough, concierge service, lounge access, and a 15% discount on AIR MILES flights in North America are also included. Plus, this card will give you 14 out of 16 types of insurance – the most of any credit card on the market. You can even try this card out for free for a year to make sure you like it before committing long term. We always suggest that cardholders pay their credit card off in full every month, but we also realize that sometimes life can get in the way and that sometimes it’s easier said than done. If you find yourself forgetting to pay your card off in full and you end up with interest charges, that 20% can be pretty frustrating. If you’re looking for a lower rate, the American Express Essential offers a permanent low rate of 8.99% on both purchases and balance transfers. And, it also offers a balance transfer promotion of 1.99% for the first 6 months. All for no annual fee. Eating is a basic part of life – whether it be buying groceries or dining out. So why not get plenty of rewards for this basic need with a credit card that offers great rewards on food purchases? We give the crown to the American Express Cobalt™ earning you 5 points for every dollar you spend on groceries and food. And because we value each point at 1.75 cents, that gives you an incredible 8.75% return, one of the best you’ll find for any spending on any card. Spend a lot of money on gas? If you own a vehicle (unless you drive an electric car) you’ll be spending a good chunk of money on gas for the foreseeable future. Fortunately, there’s plenty of cards that give you extra rewards for your fuel purchases. And the best one is the American Express Gold Rewards. While it only earns 2 points for every dollar you spend, transfer your points to Aeroplan where you can get a value of 2.5 cents for each one. This translates to a 5% return, the absolute best you can find for your gas purchases. Insurance is one of those things that people may not realize their credit card even comes with, but can be extremely valuable. Depending on your card’s insurance coverage, you could gain extended warranty on all your purchases, mobile device protection, emergency medical, and even help if your flight or baggage gets delayed. In fact, credit cards can give you up to 16 types of travel and purchase insurance, and the card that comes with the best insurance coverage is the Desjardins Odyssey World Elite Mastercard. Although it doesn’t come with the most types of insurance, it does come out on top in terms of available payout on many of those credit card insurance categories. If you’re a student, responsible use of credit cards can give you a good start on building your credit history and teaching yourself good spending habits. Sure, getting your first credit card can be stressful, maybe scary. The key is to spend within your means and pay off you balance in full and on time. The other thing is to research and compare your options. With no annual fee, 1% cash back, purchase insurance, plus discounts on lots of stores and restaurants via the free SPC membership it provides ‒ the BMO SPC CashBack Mastercard is at the top of our list. If you’re running a small business, every dollar matters. So, getting the best credit card can go a long way. The top spot for this category goes to the Scotiabank GM Visa Business. This card will earn you the most rewards for your purchases – 5% in GM dollars on the first $10,000 you spend, and earn 2% after that. And while your rewards can only be used to purchase or lease a new GM vehicle, the rewards you earn can take a big bite out of the next vehicle you purchase, whether for your business or for yourself. Either way, this card will get you the most rewards for your business purchases. If you travel to the United States a lot (whether for work or play) and you have a U.S. dollar bank account or income, a U.S. dollar credit card could make sense. U.S. dollar credit cards are based in U.S. funds, and because of this, cardholders are not charged foreign currency transaction fees. This also means, however, bill payments will need to be made in U.S. funds. The RBC U.S. Dollar Visa Gold is one of the few Canadian issued U.S. dollar credit cards that allows cardholders to earn rewards – and who doesn’t want to earn rewards on their purchases? Store credit cards are tricky, because you’re often tied to one store when it comes to redeeming your rewards. The Scotiabank GM Visa Infinite is great for anyone looking to buy a vehicle in the next few years ‒ especially if you’re a GM fan. First year free, 8 types of insurance, and up to 5% in rewards that can be used towards your next GM vehicle – much better reward value than most store credit cards. Credit cards are not just about rewards – that’s just the tip of the iceberg. Many come with some drool-worthy perks. The top card in this category by a mile is The Platinum Card from American Express, which gives you unlimited lounge access for you and a guest, a dedicated concierge line, a $200 annual travel credit, VIP treatment at the Toronto Pearson airport, incredible perks at hundreds of hotels, complimentary high-tier status, and much more. 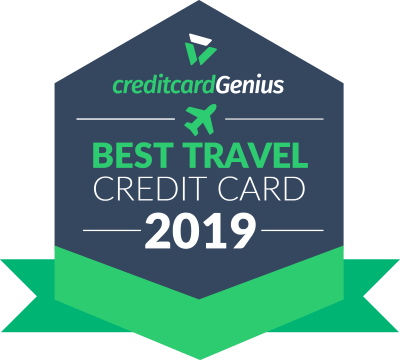 If cash back or travel rewards are all the same to you, you don’t care so much about annual fees, and what you’re really looking for is a whole lot of rewards ‒ then this award category is for you. If you’re looking for the card that will give you the biggest return on your spending, the American Express Cobalt™ is the one. If you don’t want to be tied down to one store or one type of reward redemption, flexible rewards credit cards fit the bill nicely. You get to be in charge and choose what you want to use your rewards on: travel, merchandise, cash back, investments, donations, and much more. At minimum, you won’t be boxed in with blackout dates and limited choice of airlines when redeeming for flights. The best card in Canada right now to give you that flexibility combined with high reward value is the American Express Cobalt™. These rewards can be used for virtually anything. All you need to do is log into your mobile app and use your points to pay for the purchase you just made – easy-peasy. You may be surprised by the #1 card in this category…especially since it doesn’t actually reward cardholders with Aeroplan miles directly. And yet, the number one Aeroplan card in Canada right now is the American Express Gold Rewards. Not only can you transfer your points 1:1 to Aeroplan miles, but you also get a huge sign-up bonus, flexible rewards that can be used for a number of different things, plus it’s parcelled with a comprehensive insurance package. A company can make lots of claims about their portfolio of cards, their customer service, and the ease of use of their rewards ‒ but where the rubber meets the road is when a customer receives their card and gets to try it out. You find out what a card is really like when you get to hear what real people have to say. You voted with your credit card reviews and we listened. The Scotiabank SCENE Visa claimed the victory, with the average user giving it a 4.7 out of 5 stars. Read more about People’s Choice and why your review matters. The best credit cards in Canada for 2019 in 24 categories. If you’re looking for a new credit card, this is the place to start. But it doesn’t stop here. Our compare cards page will go over all the best credits cards based on parameters you enter in and give you our genius rating out of 5 for each one. Want personalized credit card recommendations? Take our Rate Your Wallet quiz and we’ll find the credit cards best suited for your wallet based on your preferences. Do you have a go-to credit card for 2019 that didn’t make our list? Any mention of a American Express credit card should include that it is not accepted everywhere. MasterCard and Visa credit cards are they most accepted ones worldwide. I used to use American Express, but it was too frustrating not being able to use it at too many merchants. We always try to mention that Amex cards are not as widely accepted as Mastercard and Visa on their standalone pages… because it definitely is a downside of their cards. We also have recently started taking “acceptance” into account for our credit card rankings – so all American Express cards lose some points in that area if you’re trying to choose a card based on acceptance. So with the MBNA world elite increasing their annual fee and 2% dropping to cashback 1.8%, does this still make them the best? Which would you suggest for typical spending of gas/food etc? I would suggest looking into the Home Trust Preferred Visa. This card completely waives the foreign transaction fee, so, essentially, you would be looking at a 3.5% return on spending when compared to other cards that have that 2.5% conversion fee. Limited to the cards you already have though, I would go with the Cobalt card for most of my day-to-day spending. And wherever doesn’t accept Amex, then I would go with the TD Aeroplan Visa Infinite. Sounds like flexible travel rewards is what you are into. There is nothing wrong with the TD First Class Visa Infinite, especially because your annual fee is covered under your banking package. You’re getting about a 1.8% return on your spending in Expedia for TD travel rewards with that card. If you are most interested in flights but still want the flexibility, then I’d look at either the CIBC Aventura or RBC Avion. You can get up to a 2.3% return on spending there but you may need to pay the annual fee. Honestly, I’d consider looking into getting the Amex Cobalt and combining that with your existing TD card. You’ll score the 3.76% average return on spending. If you use it just for food, you’ll get up to 8.75% return on spending and should easily be able to cover the annual fee. You can then simply use your no cost TD card anywhere Amex isn’t accepted. That way you can use your Cobalt points for the highest value fixed point flights and use your TD points for hotels and other travel rewards. Looking to replace my Westjet RBC World Elite Mastercard. I’ve had it for a couple of years, but I find that it’s too limiting as far as flights/availability are concerned. Not a fan of the WJ dollars either. Is there a cashback card that would give me cash benefits that I could put away towards travel? Or should I stick to a travel rewards card with the insurance option? Thanks! If you’re looking to get the most value, I would stick with a travel rewards card. One of our top picks for best travel, the American Express Gold Rewards, is super flexible and gives outstanding value, especially when you redeem for Aeroplan. You can transfer your rewards to other partners as well. However, if your heart is set on a new cash back card, I would go with the Scotiabank Momentum Visa Infinite. You can’t go wrong with 4% back on gas and groceries. Thanks for the info! American Express kind of makes me hesitate (mostly because I need a card that will be accepted everywhere). Thanks for the cashback suggestion. I’ll certainly consider the Scotiabank Momentum. Any other recommendations for alternative travel reward cards? Yes, Amex’s limited acceptance is its biggest downfall, unfortunately. If you’re looking for the best travel card that isn’t an Amex, you could consider the TD Aeroplan Visa Infinite. It’ll give you 1.5 miles per $1 spent on grocery, gas, drugstore, and aircanada.com purchases, a great sign up bonus, and comes with perks when you fly on an award flight (like first checked bag free and lounge access). If you’re looking for a travel card you can even use at Costco, BMO AIR MILES World Elite Mastercard is great. It has an impressive sign-up bonus right now – up to 3,000 AIR MILES, a companion fare rebate, and the first year free. At Vancouver airport I just signed up for CIBC AVENTURA INFINITE card. 15,000 intro points. NEXUS pass free for 5 years! (Paid by rebate). No fee for 1 year, $120 after that. 4 free visits to lounge spa any airport which includes food and drinks! I’m glad to hear you and your wife got a great deal, Dennis! This site is so informative! Thank you for all of the great advice and posts. I am away on business right now and wanted your advice as to which credit card will give me best return. I have to stay at a Wyndham property for two weeks so I can’t get my Marriott bonuses with my Bonvoy card. Which card shall I pay for my hotel stay with? I want to get the most rewards possible of course! I look forward to your advice!! And any feedback on my cards would be much appreciated too! I’m so glad you enjoy reading our posts! As for which card to use, it all depends on how you redeem your points, but the best overall one would be the Amex Cobalt. Even if you only use the points to pay for travel charged to the card, it’ll give you a 2% return. If you use the Fixed Points Chart for flights, that increases to up to 3.5%. I think the Avion Infinite card that you have might be a little redundant – the Amex Cobalt provides more points as well as it’s own fixed points chart for flights, and you can book any travel you like and use your points to pay for it – RBC requires you to use their site. And since it only earns 1 point per $1, you won’t earn nearly as many points. Otherwise, you have an interesting mix of earning points and perks with the rest of your cards. Has anyone receide the Bonvoy card even after using all other AMX cards personnal and business?